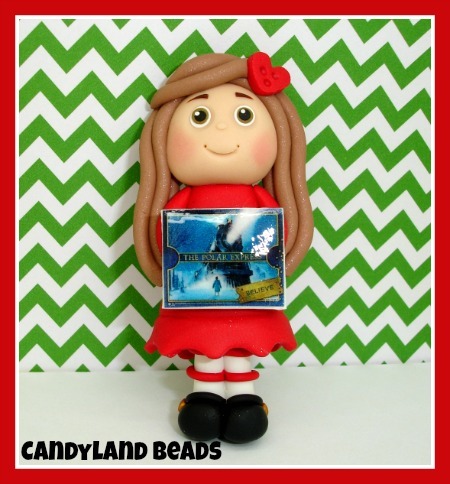 You will receive 1 Book Club Girl - Polar Express, made from polymer clay and measures 2 inches tall. You may choose the hair color and style. Please let me know if you need holes in the item and which direction; horizontal for jewelry beading, vertical with jewelry bail, or no holes for hair bow center, etc.